We’re about a month away from pitchers and catchers reporting for MLB Spring Training. 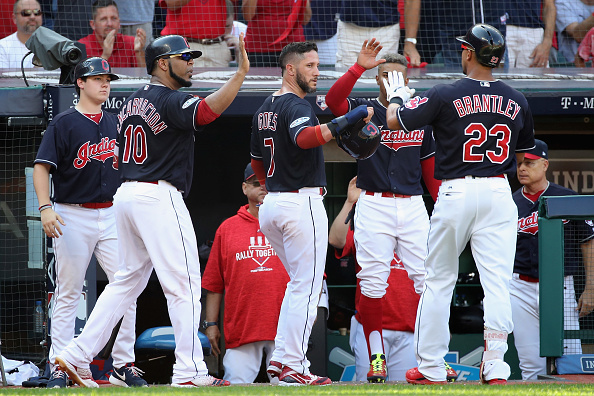 What’s typically seen as a time of anticipation and excitement for most baseball fans should hardly be considered as much for anyone who follows the Cleveland Indians. This is mainly due to the fact the roster currently being brought to Spring Training is significantly worse than the one which got swept in the blink of an eye last postseason. There’s obviously still some time to make much-needed improvements. However, said excuse is getting close to its expiration date. Once it does, fans will have to sell themselves on the chances of a Cleveland team contending with a makeshift bullpen and one of the weakest outfields in the majors. What’s more concerning than Cleveland’s current inability to realistically contend is the fact it sure seems like the front office is accepting this. Instead of making last-ditch moves to try and bring home a World Series win while the window remains open, the team seems content with just letting it continue to creep shut. This may sound redundant, as it’s hardly the first time the Indians have been called out for offseason inactivity. That said, we’re almost two months from Opening Day, and all we’ve seen from the Tribe this winter is lackluster moves and cost-cutting. Instead of fixing a bullpen in dire need of improvements, Cleveland has taken fliers on relievers like Justin Grimm and A.J. Cole. Instead of addressing the biggest area of concern – the outfield – the Indians are betting on players like Jordan Luplow or Tyler Naquin. Outside of this, the Tribe has spent most of the offseason shedding unfavorable contracts, along with a good amount of production which came with them. You could argue there are still more than a few solid names available on the open market, leaving the team an opportunity to make a moderate splash in free agency. However, recent reports are telling us we shouldn’t hold our breath on that. Per Terry Pluto of Cleveland.com, the team is not expected to spend any of the money it’s saved this winter, at least not outside the arbitration raises for Francisco Lindor and, eventually, Trevor Bauer. The only way the team can make significant improvements is by dealing a starting pitcher, something it apparently has little interest in doing. So, you have an Indians team which is in its final years of World Series contention, but doesn’t want to strike while the iron is hot. It needs to make upgrades, but has no interest in the two easiest ways to do so – spending or dealing a starter. As a Tribe fan, how are you supposed to react to this? The team is a little over two years removed from coming one run short of a World Series win. It went for broke the following season, came up short, and has since resorted to winters featuring nothing but small signings and plugging holes from within. It’s as if not winning anything in 2017 scared the front office away from making win-now moves in the offseason. As a result, the team has decided to focus on winning an underwhelming AL Central and hoping for the best come postseason. The irony is underwhelming ticket sales is one of the main reasons Cleveland isn’t spending, yet nothing this team is doing right now is compelling anyone to storm the ballpark. That is, unless you see a winter full of saving money while aiming to go no further than another division win as reason to buy yourself a season ticket package. What apparently isn’t registering with the Indians’ brass is that you can’t get that close to winning it all and then, just two seasons later, insist we should be impressed with division wins. You can’t consider yourself a World Series contender and assume a bullpen and outfield patched together with glue and popsicle sticks can get the job done. Bottom line – saving money doesn’t help keep a window of contention open. If anything, it just pushes it shut. At the moment, there don’t seem to be any concerns about this from within Cleveland’s front office.